More about and notes on this blog and its features. 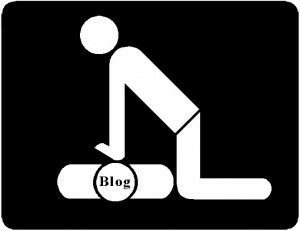 They say sure signs that the death of a blog is imminent is a bit of lackluster writing, infrequent postings. The Food Life surely suffered from this early this year. When I began, I envisioned finding in the community of local food a transformation from a kitchen soundtracked by the crinkle of cellophane wrappers and littered in paper boxes of pre-bought meals to one filled with the happy burbling of homemade stock and slice-crunch of freshly prepared vegetables. That was to be my kitchen. But as so often happens in life, things have a way of getting in the way. I managed some of that transformation and found some great inspiration from local food makers, but when I so often failed to come home before 8 p.m. and faced yet another night of microwaved dinners, I felt I’d also failed to create something worthwhile for this blog. The posts became infrequent, hurried and then, eventually there it lay frozen in the cold, dark Internet archive. But I keep finding something I wanted to share (some of which I shared on a Facebook page devoted to Kitsap Food). And I really missed those of you who read this blog. I missed writing it more than I thought I would. But as I breathe life back into this blog yet again, I feel I need to clarify its direction. When I started, I had said this would be about an exploration of local food, and it will remain that. But I think what I missed out on are more of the stories of the people and places behind the food as well as information on local events and food opportunities. I also intend to offer book reviews and literature this time around, most local, a few not. And as always, links to interesting blog posts and regional food news. While I’m being given more time to devote to this, the stories that require reporting can be time-consuming, so I’m saying upfront that the posts may not be frequent. As for recipes, well, see above. What I’d love to see more than my hasty dinner throw-togethers are your recipes. I’ll be asking for them along the way. And while we’re on the subject of sharing, this blog is really about the local community surrounding food so if you’ve also got a food-related story to tell or a suggestion for one I should write, please, please e-mail me at adice@kitsapsun.com or call me at 360-415-2673. Thank you to those who’ve read in the past (and I hope will read again), and welcome to any new readers. 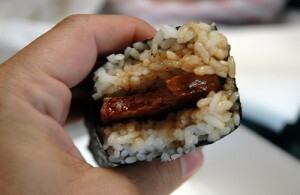 By the time this post posts, I’ll be headed to Hawaii, specifically Honolulu and Kauai, from which I’ll of course be trying out some island fare, such as Spam musubi (pictured), which a half dozen people told me I have to try. I prepared by getting advice from some former and current residents of Oahu and Kauai and watched Anthony Bourdain’s “No Reservations” episode on Hawaii. This is a long way of saying that since I’m on vacation, so’s the Food Life. I’m not going to write new posts, moderate or approve new comments or even look at a computer until I return on Sept. 23. I’ll come back with some food (and other photos) for the Food Life and the Bremerton Beat blog. Until then, here’s wishing you all good eating. I’ll leave you with a clip from Bourdain’s show (I’m not trying to rub it in, I swear). This is just a quick note to all the great folks who read this blog that, yep, I’m still here. I got sidetracked by some family matters and work that resulted in a load of trips to fast food joints and the TV dinner aisle of my local grocers, which didn’t really seem all that interesting at the time. I guess we can list this under “Food Fail”. But I’m back, and I hope that you’ll continue to read what I’ve got coming soon. Also, feel free to read along with me in the food world. I’ve added a list of the food articles, blog posts and recipes I’ve been finding to the right-hand side of my blog. In addition to cooking and eating (LOTS of eating), I also find myself reading a lot of great articles and blogs posts elsewhere on the Internet. I run across interesting food tidbits, recipes and more and I get so excited by some of them that I want to share. So, as a way to share some of the more interesting things I’m reading, I’m using this tool for journalists called Publish2 that lets me bookmark and share stories and comments on them after I read them. You can find it on the right-hand column of this blog under “Food Stories” under the “More Stuff” heading. Hope you find it interesting too. If you know of any stories I should check out, feel free to leave a comment or e-mail me any time at adice@kitsapsun.com. Yep, you guessed it. It’s about food. But not just any food. What you’ll find on this blog will be resources, ideas and a place to talk about food for those of us in Kitsap. So a little bit about me: My name is Angela Dice. I’m not a veteran food critic or a gourmet chef. What I am is a food enthusiast who loves taking photos, videos and sharing information. Most of the happy memories in my life involved food: Barbecues with my friends. Morning breakfast bowls of miso soup and rice with my grandma as she tells stories about life in Japan. Thanksgiving dinners where we stuffed ourselves so full of turkey and mashed potatoes that we could do nothing afterwards but lounge and joke around the dining room table just long enough for our stomachs to digest down room for one slice of pumpkin pie. So I’ve set myself on the path to making better meals for my friends and family, learning from people and places around Kitsap, Seattle and surrounding areas, and sharing what I learn along the way. I’ll be joined on occasion by other Sun bloggers. So with that said, I hope you’ll join me on this journey, and I look forward to sharing what I find and hearing from you. Always wanted to learn how a local food expert made something? I can’t promise to get the answer, but I’ll ask for you. Feel free to treat me like your personal scout. You can reach me via e-mail at adice@kitsapsun.com or call me at 360-415-2673.